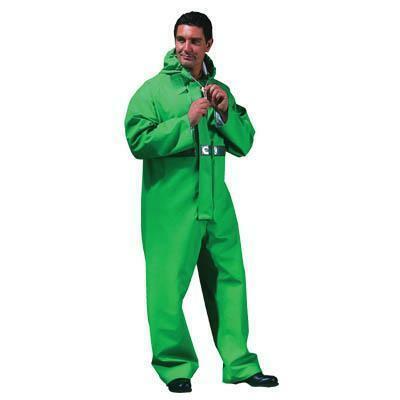 Detailes Boiler suit with hood, elasticated wrists and ankles. Softer, lighter weight cotton backed fabric for extra wearer comfort. Zip front with double storm facing secured by studs. Flame retardant, conforms to EN 533 index 1. Anti-static properties to BS EN 1149-1:1996.